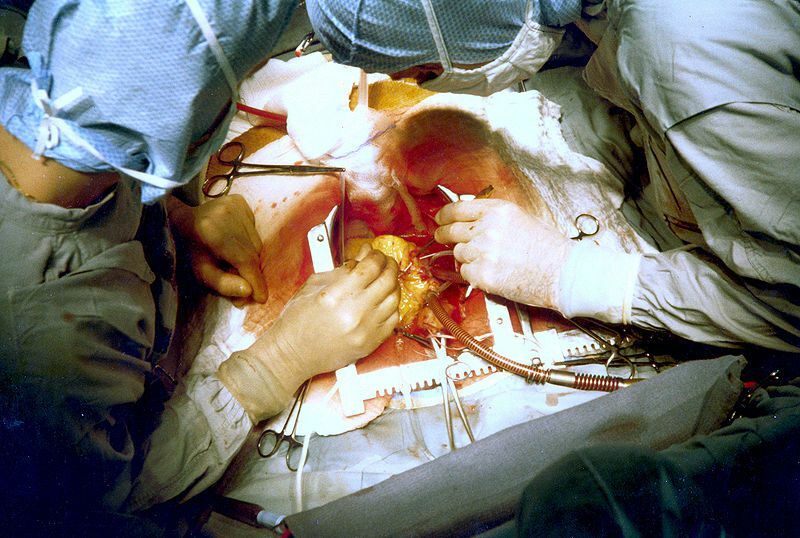 The term bypass describes a heart surgery technique involving bypassing (short circuiting) a blood vessel which either does not allow blood to circulate or limits circulation (often blocked by atheromatous plaque). A replacement vessel is then provided (a vein removed from the patient, or a synthetic vessel) in order to restore effective blood circulation. and venous bypass that is used to treat portal vein hypertension.